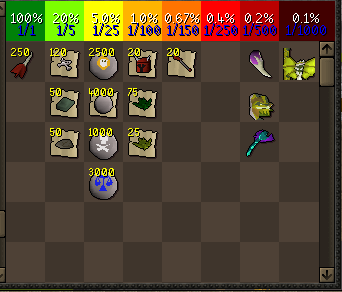 Changed the broken kick anim to the osrs one. Zulrah is back it's not like osrs but it works go get those blowpipes!! Reworked the pk bots they now wear normal gear and are agressive again they are alot more human like now. Ironman can now access the donator store. Added a nice looking spec to staff of the dead/toxic staff of the dead! Last edited by Nando; 19-12-17 at 05:57 PM. Iss all sweet and nice work, but theres one thing. The pathing gets bugged up when zulrah goes underwater and comes back up. It can only be attacked from certain spots, sometimes you cant attack it from any spot, gotta wait till it changes location again. Also, the little snakelings can only be attacked from certain angle. Maybe its meant to be that way, sorry if im wrong. Nice Update Nando. And a special thank for the Ironman update.